Each time when you login to the administrator from a different IP, an authorization email link will be sent to your email. This applies for all accounts, including operator and agent accounts. We will work up to 5 hours to implement any modifications that you want to the website layout, structure, effects, colors, images. Affiliates can create Deposit Bonus Codes using any name that they want (EG: an affiliate can create deposit bonus code "PLAYREG2001". Then any players using the bonus code will trigger a reward for the affiliate worth 10% from the bonus given to the player that made the deposit. The reward comes with a rollover limit of x10. Any player can become an affiliate and access his affiliate panel from the lobby. He can generate an affiliate link, set a nickname to be used with the affiliate link, see all his affiliated players and the income generated by each, see his income per month and more! Affiliates will receive 20% from the loss of their affiliated players. This percentage can be changed from the administrator panel! NCO(Negative Carry Over) can be turned On/Off from administrator panel. High-Roller protection achievable by removing the affiliate ID of the high roller. Adjust MRP settings (Minimum Real Players) and decide the conditions under which an affiliated player is considered a real player, to avoid the affiliate system to be exploited by affiliates that create multiple accounts using their own affiliate ID! You can download a demo for testing from here! PLEASE NOTE: This program does not include any game. Users can access your casino through this personalized program. They will simply install this application and they will instantly connect to your casino! NOTE : This software is compatible with WINDOWS. We can translate any game and the frontend/backend to any language, including Chinese, Russian, Indonesian, Japanese, etc. Price is per game per language. The system will generate a dedicated deposit address for users to send cryptocurrencies to, at any time they want, and funds will appear in their casino account right away. This feature will also display a QR code image for fast sending. Basically each user will have a dedicated wallet address for payments, for each currency. These wallets will forward all the coins to your wallets at coinpayments.net. All currencies from coinpayments.net are included in this addon for the mentioned price (over 100 cryptocurrencies). Any player can change the design template of their casino session, using a button placed on the top right corner of the casino. The player can select 1 out of the 4 available design templates. With this feature players can register in less than 5 seconds, if they have a facebook account, by using their facebook details as part of the registration details. We will add your own brand name/slogan inside a game. 1 line of text, up to a limit of 35 characters, in the same position where you can see our CasinoWebScripts copyright (our copyright will of course be removed). The price is per 1 game. This is an unique feature developed by CasinoWebScripts.com. The game achievements feature will allow the players to receive credit rewards, upon completing various challenges inside the eligible games and it will rank them in the leaderboard. For example, they can unlock an achievement when they win 5 gameplays in a row in Blackjack or when they hit the same number in roulette two times consecutively or when the Banker will have a pair in Baccarat. The list of available achievements (currently over 70 achievements) can be checked in the frontend lobby by going to GAMEPLAY HISTORY->ACHIEVEMENTS page. This will also display the eligible games for each achievement. Each player can read the description and he can see the status of each achievement of his account. Upon unlocking an achievement, the player will receive credit balance equal to the value of the reward and this will be recorded in the table cws_bonuses_instant (viewable under backend GAMES MANAGEMENT-> ACHIEVEMENTS LIST-> HISTORY) with the notes achiev[achievement_id]. The credit rewards from achievements can be viewed in the frontend, under FINANCES->VIEW ALL TRANSACTIONS. The value of all the rewards can be edited from the backend. This feature also comes with a leaderboard. The leaderboard can be checked in the frontend lobby by going to GAMEPLAY HISTORY->TOP PLAYERS page. The leaderboard will display the players with the highest total score obtained from achievements. For each player, their nickname will be used (if they set one), otherwise their user id will be displayed on the leaderboard, with grey color. The username will never be displayed, for security reasons, in order to prevent account guessing and brute force hacking attempts. Therefore, for security reasons, every player must visit the achievements or leaderboards page and he will be prompted to set a nickname for these statistics. Until he will set one, his name will not appear completely in the leaderboard. Once he sets his nickname, it will be displayed on the leaderboards as he submitted it. The order of the ranking is based on score and if there is a tie (two players having the same score), the date of the last achievement is used to order the player rankings. Between two players with same score, the player who unlocked the last achievement first will have a better ranking. For marketing purposes, you can run campaigns manually to give extra rewards to the players situated on the top 3 positions at the end of each trimester. After that the achievements score and rankings can be reset using the backend panel. We can request BMM TestLabs to issue a GLI-19 certificate for the RNG and software, under your company name. Available only for real money casinos. This can be used to obtain a gambling license in certain jurisdictions. You will be able to allow multiple external websites to connect to your casino and retrieve the list of your games via API, to start the gaming session for any users and to transfer funds to the gaming session so that the user can play the games. You will be able to monitor in the backend the profit that each operator made and even set a revenue share to help you determine how much each operator has to pay you. This feature will also allow you to create unlimited operator accounts from the backend and give access to each operator to see their statistics and revenue in the backend panel. Each operator will only see data related to their activity. If an operator does not pay, you can suspend his account from the backend with one click. All our source code files and our API code will be hosted on your server. Documentation and support included. It is mandatory that you buy our casino software and the games that you want from our website. SEAMLESS WALLET integration is also available for an extra cost. IMPORTANT: The difference between this and the SELF-HOSTED API is that the MULTIOPERATOR API can allow you to see the profit and all data grouped per external website/operator. Also, each operator will have their own credentials to start the gaming session and to access the backend panel for statistics. Integrate an automatic cryptocurrency payment solution that will give credit instantly to players that make deposits with the selected cryptocurrency at your casino, after the bitcoins entered your bitcoin wallet! You can change the conversion rate so that 1COIN=1 CREDIT or 1COIN=1000 CREDIT or any rate! Price is for only 1 cryptocurrency! Using InstaBill, RegularPay, SafeCharge or SKRILL, you can accept credit/debit card payments on your website instantly allowing the players to receive their credit right after the transaction was approved! This is a tool which will be available in the administrator panel. This tool will allow you to modify the paytable values for the slot games and it will then calculate the Payout and House edge of the game, so you can see the effect of your modifications. The feature basically allows you to adjust the payout of any slot game. The listed price is per game. Addon allowing your users to buy a ticket with a 3 digit or 4 digit number for the lottery draw. One ticket will be selected every hour/day/week and the user holding the selected number will receive a portion of the prize pool. Addon allowing your users to buy tickets for the raffle. One ticket will be selected every hour/day/week and the user holding the ticket will receive a portion of the prize pool. Addon allowing your users to buy tickets for the raffle. One ticket will be selected every hour/day/sunday and the user holding the ticket will receive a portion of the prize pool. The seamless wallet functionality will cause the games to not use the wallet from the casino database, but to use a remote wallet to retrieve the player balance and to send the BET and WIN values for each player. The Seamless Wallet requires the software or API and the games. Do you already have an online website and you want your users to also be able to play casino games using your website`s currency? Do you want to reward your users for being loyal? You can add any of our games to your existing website. Using our self-hosted REST API, you can open a gaming session for the player, add funds to the player inside the game, remove funds, etc. At the end of the gaming session, the API will send the funds back to your main website. All our game files and our API code will be hosted on your server. Documentation and support included. It is mandatory that you buy the games that you want from our website. SEAMLESS WALLET integration is also available for an extra cost. With this feature, you can start slot tournaments using any 5 REEL SLOT game that you bought or you will buy from us. This feature will enable the Slot Tournament feature in all the 5 REEL slot games that your casino will have! Important: no games are included within the listed price. The Casino and Sportsbook platform will be both connected under the same website, your website, to allow your users to bet on soccer sportsbook events using their casino accounts. You will be able to keep track of all the tickets placed by all the players, and the odds, results and player winnings will be calculated automatically. 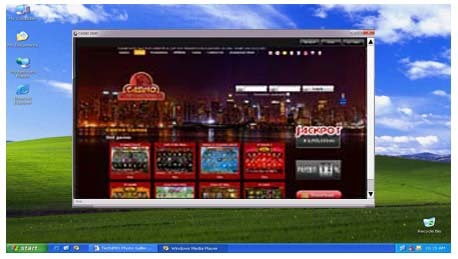 This is an add-on for our casino software and it will allow you to perform and monitor operations related to sweepstakes business. 4.You can see the status of all the available prizes in the backend (which prizes were given already, which were not), along with RTP and other statistics for each prize pool. Demo for sweepstakes games can be seen here. IMPORTANT: This feature available only for the HTML5 slot games. Price is for 1 game conversion and you must buy that game as well. We can translate any game to any language in the world! Contact us with the language desired! Price is for 1 game and 1 language! We can translate the web interface and administrator panel of our platform to any language in the world! Contact us with the language desired!